You cannot go wrong with our classic wing-tips. Lightweight outsole, fine leather interiors and hand-burnished finishes. All day comfort is now yours with this traditional classic design. This lightweight dress boot is designed just for you. A timeless classic. polished leather surfaces with a hand rubbed finish. Elegant switch-back Velcro closure with a lightweight outsole. Simply beautiful! Classic lightweight dress shoe. 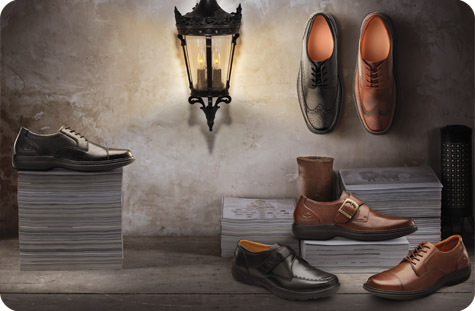 Traditional Cap-toe design presents sophistication and great looks in a timeless mens classic.